Your child’s bedroom wallpaper plays a significant role in both comforting and inspiring him/her. Are you wondering how you can enhance décor in your child’s bedroom? Buying unique blue cartoon wallpapers would give a solution to that. 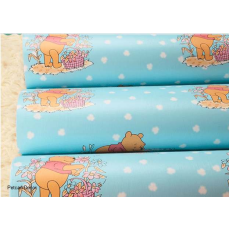 This wallpaper has a design and pattern that are repeated to give a special impression to your kid(s). These wallpapers are durable and they are easy to maintain since they are wipeable. Looking for a shop where you can get self adhesive boys wallpaper? Petcarl Décor is a reliable shop that you can trust to provide you with what you are looking for. We are an interior décor shop with a passion for design and quality. Our kids wallpapers are environmental friendly and they do not fade. If you need to add drama in your child’s bedroom, you can visit our shop anytime and you will never regret. Our joy is when every client is fully satisfied.